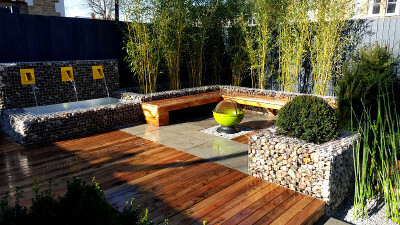 Scott Lawrence Garden Design have been designing and delivering beautiful gardens across London, Surrey & Middlesex for over 12 years. Offering a full, bespoke design service tailored to your needs. Whatever your style, be it cool contemporary, hot Mediterranean, water gardens, courtyard spaces or family gardens for all to enjoy. Gardens that will continue to surprise and delight throughout the year. A strong emphasis is always placed upon your brief and budget for your garden. Working with you every step of the process to ensure you have the garden of your dreams. When it comes to building the garden we have a team of excellent landscapers to pull it all together. With scaled drawings the design can also be put out to tender. If you would like an on-site consultation please contact us 0208 891 4333 or use the contact form provided.